Turbo. These days, if you’re a car enthusiast, the word is shorthand for a lot of things: manufacturers chasing lower emissions and fuel consumption while delivering more power; a slug of easy-going low-end shove to give smaller-displacement cars easy drivability and instant torque; a muffling effect on engine sounds; and maybe, as a consequence of all that, driving experiences that are slightly less involving and exciting than they used to be. 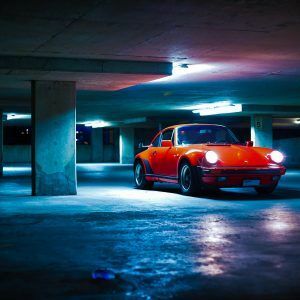 Modern, quick-lighting turbos represent all of that and more, their application having made almost every new car on the road faster, easier to drive, and more economical – but they weren’t always that way. Once upon a time, the word Turbo stood for something exciting, expensive, and slightly dangerous. Top-end power rather than bottom-end torque, coming in a frightening shove after a long wait. On-off rubber-band power delivery that made high-speed cornering challenging and sometimes frightening. And apocalyptic fuel consumption that made turbocharged performance cars strictly the preserve of well-heeled drivers with money they could burn as quickly as fuel. 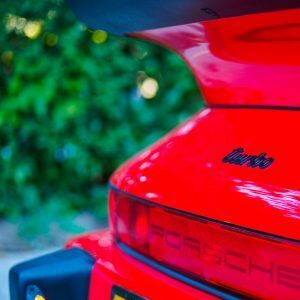 Arguably, as a symbol, the Porsche 911 Turbo (or, to fans of the marque, 930) was the pinnacle of this madness, shoehorning technology first used in turbocharged RSRs and 917s for the street into the most luxurious and yet most frightening 911 of all, a car that needed a huge rear wing to hold its wayward rear end to the ground – as well as showing your friends you bought the big-boy car. 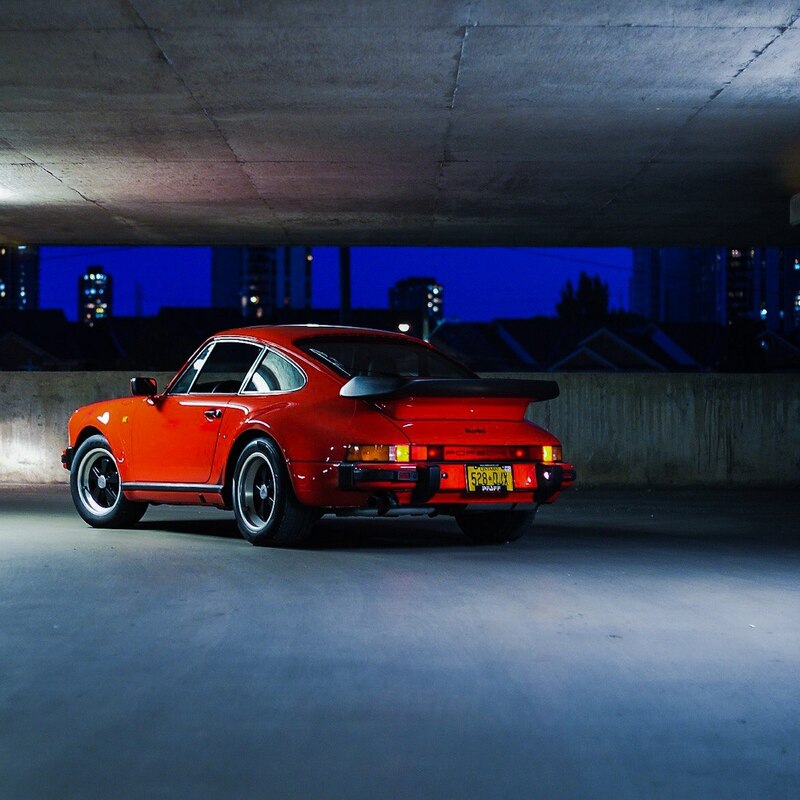 Wider rear arches, accordion bumpers, deep-dish Fuchs forged alloys, and more, made the 930 instantly recognizable over its 20-plus-year lifespan, a symbol of speed, danger, and seventies-eighties excess. Seen in the context of modern turbocharged cars, the spec sheet of this 1987 911 Turbo doesn’t read like anything special. Its 300 hp and 303 lb-ft are handily outdone by a base Boxster, and a 0-100 km/h time of around six seconds would be matched by many less-expensive cars these days. But it’s the way the Turbo delivers the power that makes it still something deeply special: unlike the easy, instant torque that gives modern turbocharged engines a light, almost inertia-free feel, you really have to work the engine, and the car, hard to unlock the power. There is little, if any, boost, below 3,500 rpm, and the four-speed manual gearbox (one gear lower than its “regular” 911 contemporaries) has long gearing, exacerbating the wait for boost to build. 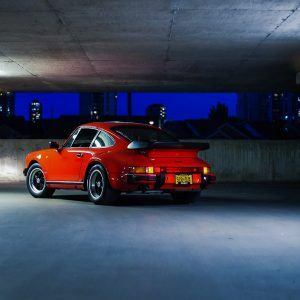 When it does, however, the power comes on with a a weight and a shove in the back that is unlike any modern car, even a modern 911 Turbo; all through the rev range, you feel like you’re really pushing against something, making unlocking the power that much more rewarding. Despite myths of on-off power delivery and wildly sliding rear ends, the 3.3-litre six’s boost builds smoothly and progressively, and the four-speed’s long ratios ironically make modulating the power with the long-travel throttle easier; you get plenty of feel as you accelerate when the turbo starts spinning, and, so long as you don’t jump off the gas in the middle of a corner (you wouldn’t do it in any car, let alone a rear-biased 911, right? ), the car never feels like it’s going to exit any corner backwards. The Pirelli P Zero Trofeo R tires, fitted to this particular example and approved by the Porsche factory as an N-spec tire for vintage cars, surely help here, developing massive dry-roads grip, if sacrificing wet-weather traction in the process. Hustling the 930 – or indeed, driving it slowly – nevertheless remains a very physical, very involving, experience. 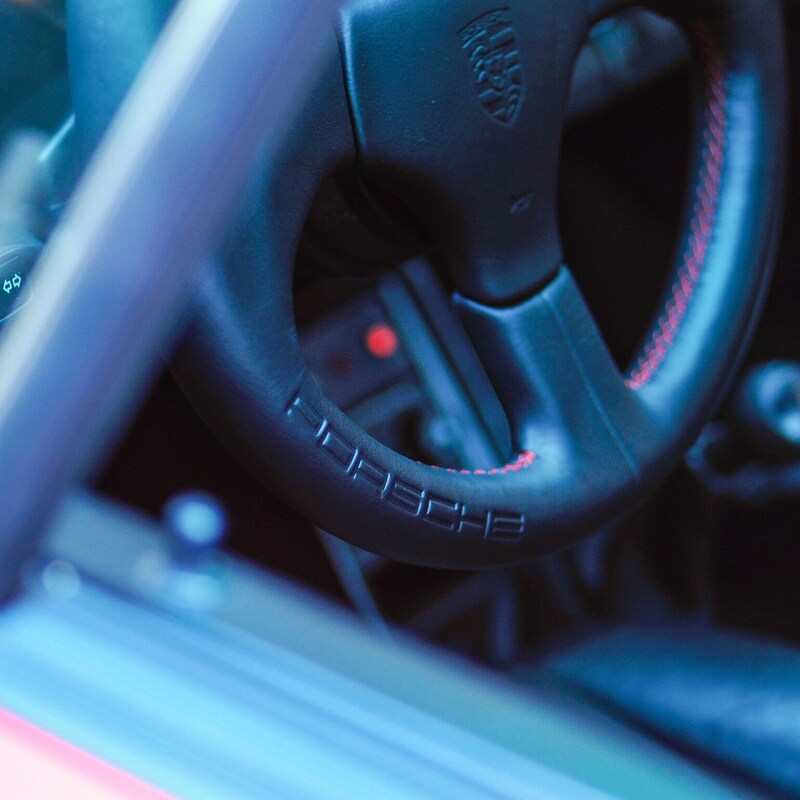 The unassisted steering is real work at lower speeds, and will build your arms faster than a regular gym regimen, and the pedals require similar weight and effort, particularly the brakes, derived from the legendary 917 race car, with immense stopping power but a firm, firm pedal. 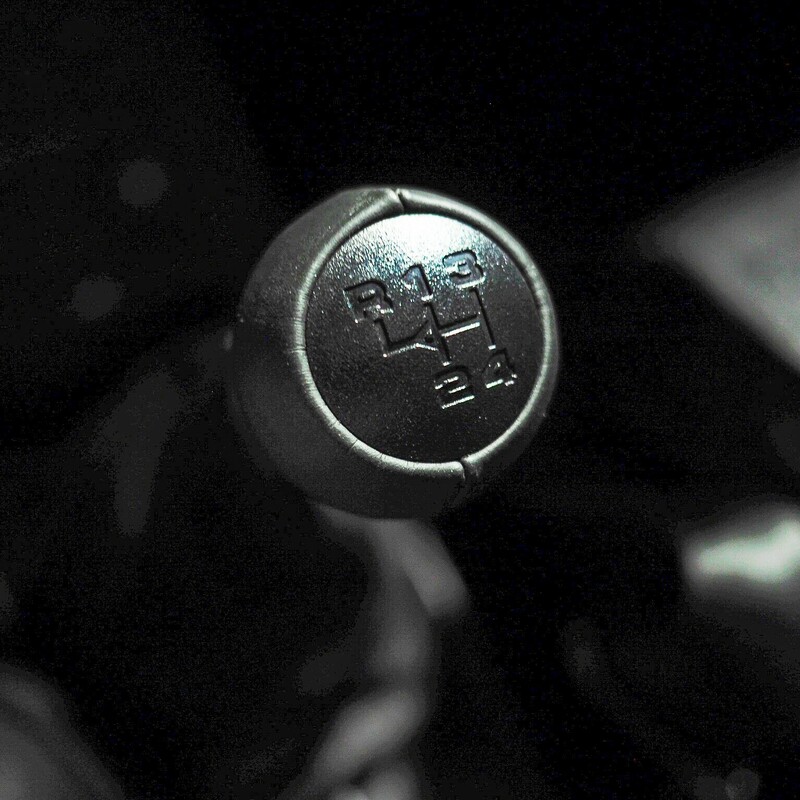 The gearshift’s throws are long, and it requires patience when you’re hustling, but like the steering and brakes, it rewards careful, skilled driving with a wonderfully mechanical feel that is precise, weighty, and perfectly honed. 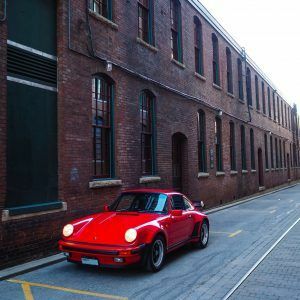 On the roughest urban pavement, the torsion-bar suspension can fee a little brittle, but it’s great in corners, and the 930’s high-speed ride is really good, in line with it being Porsche’s most luxurious model in its time. 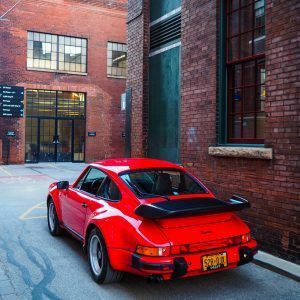 By modern standards, the 930’s “luxury” equipment list is a little bit comical – standard equipment includes an excellent automatic climate control system (should you be able to figure out how to use it! 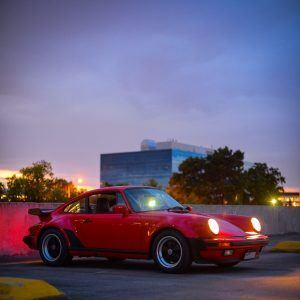 ), power height adjustment on the deep-bolstered sport seats, power windows, sunroof, locks, and mirrors, and a spectacularly difficult-to-use Blaupunkt cassette stereo. 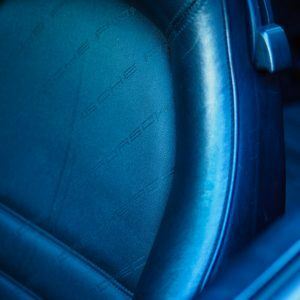 The ergonomics are typically 1980s Porsche, with unlit and unmarked switches scattered everywhere and dim backlighting, but everything – including the standard-fit black leather on the dash, doors, and other interior trim pieces – feels built to last forever. At more than thirty years old, one could argue that this spectacular paint-to-sample India Red 930, originally built for the European market, has already lasted a relative “forever.” With 130,000 km on the clock, it shows reasonable mileage for its age, and it has been subject to an extensive cosmetic freshening at Pfaff Autoworks and mechanical going-through by Pfaff Porsche, meaning it’s ready to drive and show. This 930 very much epitomizes its time, from its extreme looks to its thrilling drive. While its specs may pale in comparison to modern turbocharged machinery, the experience it delivers is nothing like anything you can buy today.